The S&P 500 pulled off the equivalent of a behind the back catch last month as it defied odds and accomplished the highly improbable. After threatening to finally record an official correction a few weeks prior as we faced geopolitical tumult and conflicting global economic conditions, the index rallied 3.77 percent, making this the best August in 14 years. Furthermore, the S&P 500 closed above 2,000 for the first time in history last week, and now stands more than 8.3 percent higher for the year. 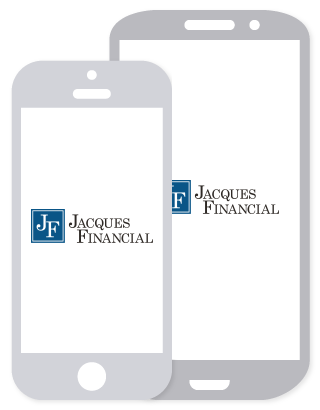 Markets remain focused on the troubling conditions that have hindered the Eurozone economy from returning to health. 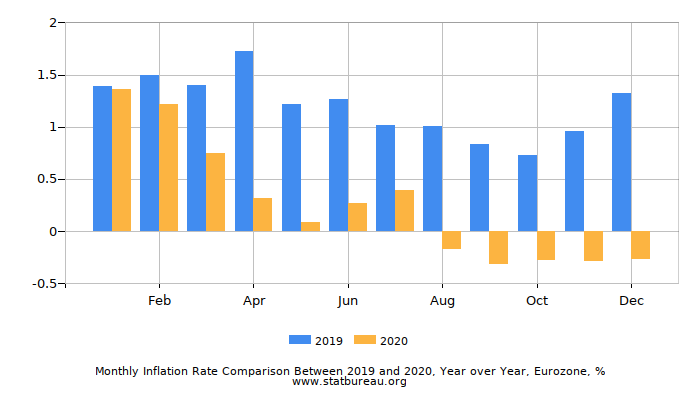 Last week, inflation statistics for the area were released that increased the odds that action from the European Central Bank and government officials is on the horizon. 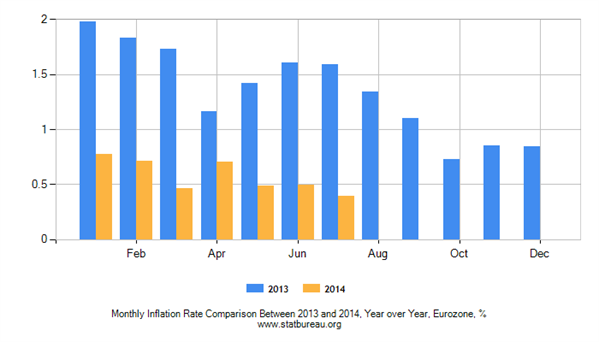 As unemployment remains elevated at 11.5 percent, inflation sank to a five year low annualized pace of 0.3 percent. The consensus opinion is that European Central Bank leader Mario Draghi will soon outline measures that will mirror those implemented by the U.S. Federal Reserve throughout the last several years, including but not limited to large scale asset purchases. In anticipation of these measures, investors have piled into government debt in safe countries, such as the U.S. and Germany, keeping a tight lid on interest rates for the time being. The Commerce Department had last reported that the U.S. economy advanced at a 4 percent rate in the second quarter. Last week, however, the same department revised that number up to 4.2 percent, indicating the U.S. economy was even stronger than we thought. The report highlighted that business spending on investment and equipment rose sharply, while consumers exhibited higher demand for high priced items such as automobiles. 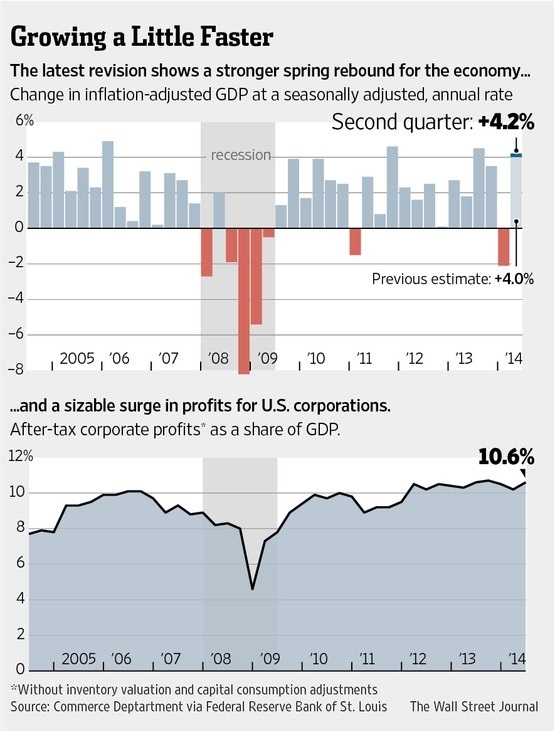 Furthermore, corporate profits were a record high in the second quarter. After tax profits grew by 6 percent to an estimated total of $1.84 trillion, or 10.6 percent of the overall U.S. economy. According to Macroeconomic Advisers, this economic strength is expected to carry forward throughout the current quarter. The firm estimates the economy will advance by another 3.1 percent in the third quarter. The U.S. debt situation just got a little less dire last week, but the relief might be short lived. The Congressional Budget Office indicated last week that the cumulative difference between government receipts and expenditures is expected to be $400 billion less between now and 2024 than their last estimate indicated in April. However, despite their predictions for declining deficits over the next several years, this trend is expected to once again reverse beginning in 2018. Government debt as a percentage of the economy will reach nearly 75 percent this year, the highest level since 1950 according to the Congressional Budget Office, and is expected to climb to more than 77 percent by 2024.